This fascinating hands-on experiment utilizes a patented 4" x 4" pouch of supercooled sodium acetate to visually demonstrate crystallization and the subsequent release of latent heat. 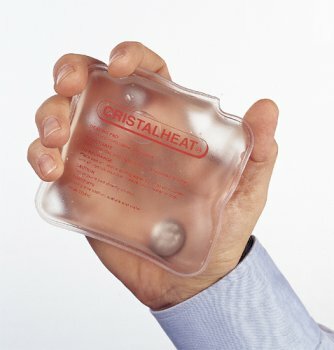 Indefinitely repeatable, simply boil and cool the CRISTALHEAT® pouch to return its contents to the supercooled state. Best of all, you can use it to introduce conservation of energy to students of all ages. The instruction manual covers history, practical applications, and suggestions for qualitative and quantitative experiments. This kit contains twenty 4" x 4" pouches, one 8" x 8" pouch, a pound of sodium acetate, and the instruction manual. View More In Pre-K How-To Aids. If you have any questions about this product by Arbor Scientific, contact us by completing and submitting the form below. If you are looking for a specif part number, please include it with your message.